Rodolphe Le Meunier, as expert consultant, alongside Tours Événements, created the Mondial du Fromage et des Produits Laitiers (World Cheese and Dairy Product Exhibition) in Tours in 2013. Its mission is to bring together the stakeholders of the cheese and dairy product sector to present them with the market innovations and developments. At its third edition in 2017, this event brought together more than 137 exhibitors and 2,800 professional visitors of over 20 different nationalities. The Concours Mondial du Meilleur Fromager (Best International Cheesemonger Competition) is one of the highlights of this event. In 2017, ten candidates from five countries competed in different theory and practical tests in front of an enthusiastic audience. 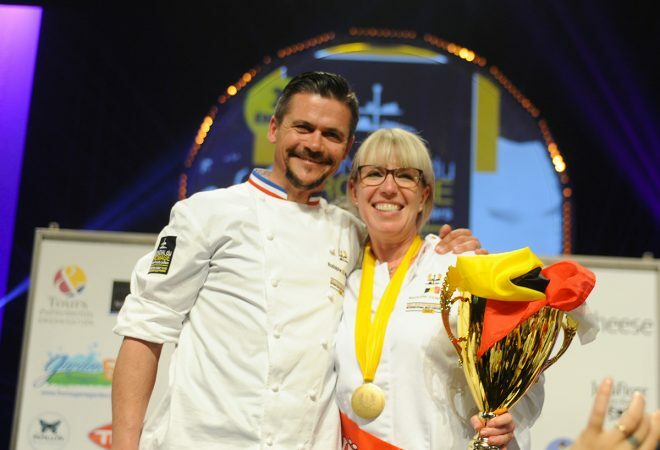 Belgium’s Nathalie Vanhaver was crowned the 2017 winner. Our shop is open all summer !